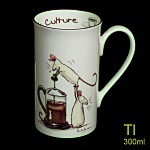 Anita Jeram Ceramics Two Bad Mice US - Supplying High Quality cards from Contemporary Artists. 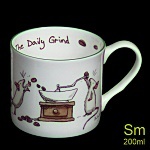 New Fine Bone China Mugs for the Modern Kitchen and Collectors. 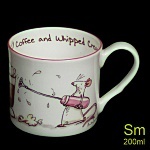 After commissioning our exclusive shape we asked the pottery to make the walls of our mugs as fine as possible. 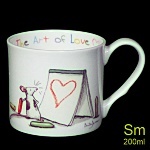 The result is a very delicate mug which is a pleasure to use. 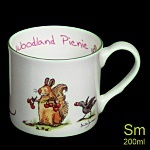 The decoration of each mug has been individually considered. Most have images on the inside bottom and inside walls and are finished with a hand-painted rim.